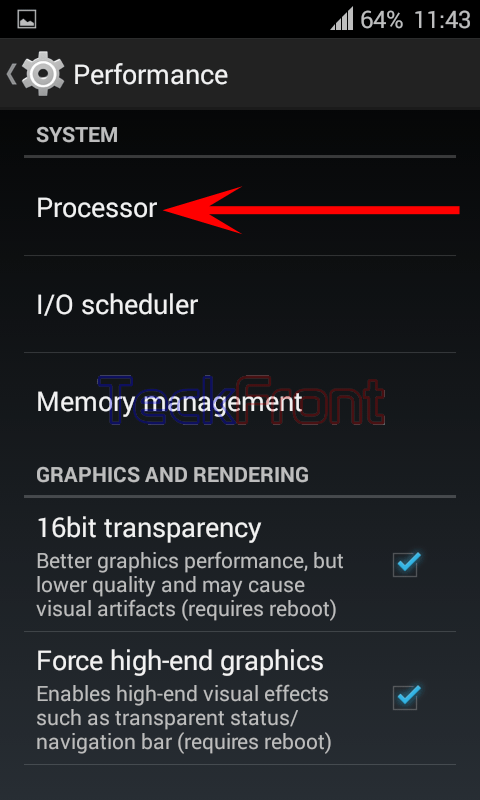 How to Set CPU Frequency to Optimize Speed of Android 4.4.x KitKat Device? To optimize the speed of your Android device, Android has an option to set / enhance the CPU frequency of your Android device, accordingly. This may be the immediate solution to your slowing down Android device. You may take this action, in addition to many other steps, to improve the performance of our Android device. The option of maximizing CPU frequency for Android devices is not a built in feature in all Android devices. But, if you have upgraded your Android version to 4.4.x from Cyanogen Mode, it may be available in your Android device. To set CPU frequency of your Android device, you need to ensure that ‘Developers options’ are switched ON in your Android device. 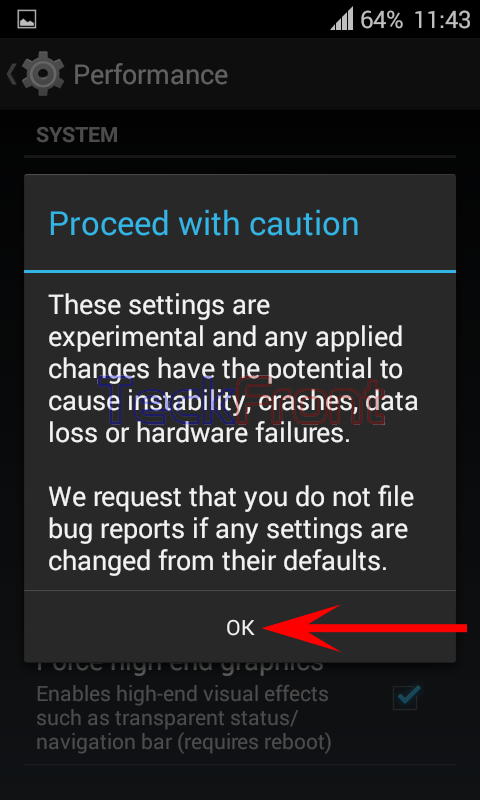 To get guideline to switch ON the Developers’ options, please visit our article: How to Enable Developers Options in Android 4.4.x KitKat Devices? Note: Please proceed with caution as it may endanger your Android device. So, TAKE CARE AND PROCEED WITH RISK AT YOUR OWN END. Command Line: Settings – Home > SYSTEM – Performance. 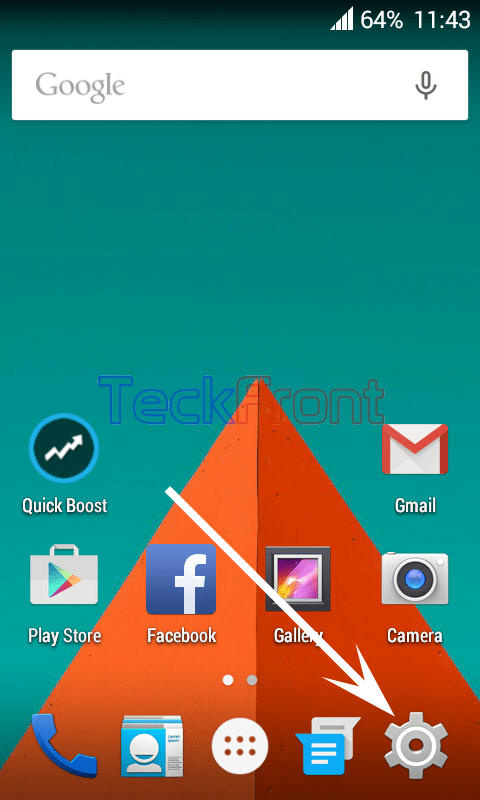 1: Tap the ‘Settings’ at the Home screen of your Android 4.4.x KitKat device. 2: At the ‘Settings’ screen, scroll to the bottom of the screen. 3: Tap the ‘Performance’. It will open up a caution prompt. 4: Read the ‘Proceed with caution’. If you are ready to take risk, tap ‘OK’. 5: Tap Processor. It will open up ‘Processor’ screen. 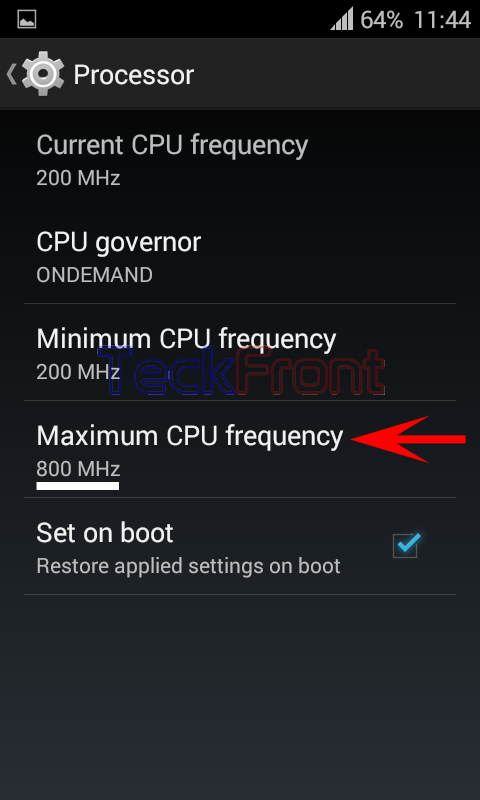 6: At the ‘Processor’ screen, see the current ‘Maximum CPU frequency’ is 800 MHz. Tap it to change / set. 7: See the current CPU frequency is 800 MHz. Tap the 1200 MHz to set it as the ‘Maximum CPU frequency’. You may set the frequency, as per your need. It will take you instantly back to the ‘Processor’ screen. 8. 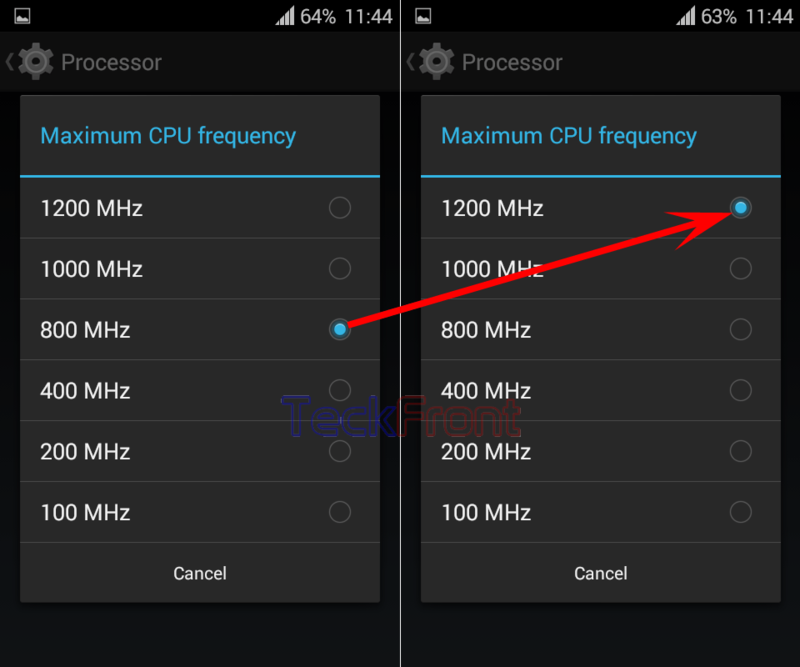 See the status of the ‘Maximum CPU frequency’ is changed to 1200 MHz. Now, you may enjoy the speed of your Android device, increased. After the change, speedier Android device may cause bottle necks in Android devices, with limited working capability. 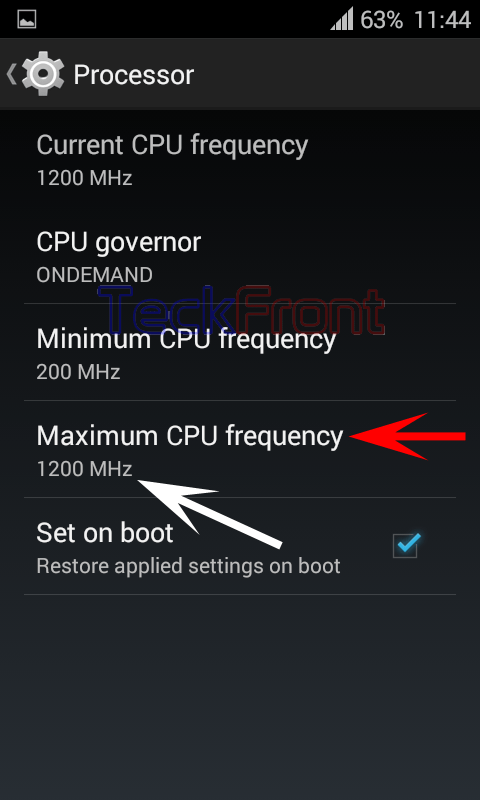 So, you may again set the ‘Maximum CPU frequency’ as per you need, requirements and the specs of your Android device. 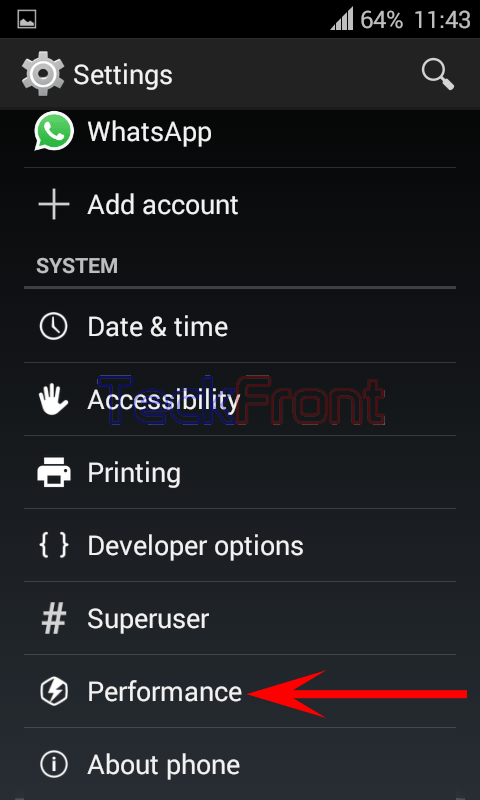 Newer How to See Battery & Phone Status of Android 4.4.x KitKat Device?